McAdam, John Loudon (1756-1836) – A Scottish engineer and road-builder, John McAdam invented a new process, “macadamisation”, for building roads with a smooth hard surface that would be more durable and less muddy than soil-based tracks. Modern road construction still reflects McAdam’s influence. Of subsequent improvements, the most significant was the introduction of tar (originally coal tar) to bind the road surface’s stones together – “tarmac” (for Tar McAdam) – followed later by the use of hot-laid tarred aggregate or tar-sprayed chippings to create better road metalling. More recently, oil-based asphalt laid on reinforced concrete has become a major road surface, but its use of granite or limestone chippings still recalls McAdam’s innovation. During WWII, General Douglas MacArthur’s leadership turned the tide of war against the Japanese in the Pacific. 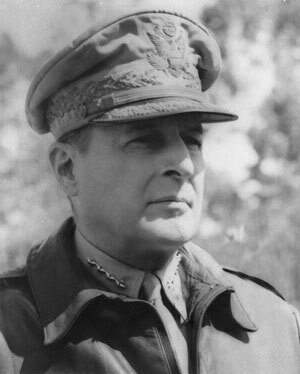 MacArthur, General Douglas (1880-1964) – Freemason Douglas MacArthur was the Supreme Commander of the Allied Forces in the Pacific Theatre of Operations during World War II. He promised his beloved Filipino people, “I shall return” [to rescue them from the occupying Japanese military who had attacked them] and, on 20 October 1944, he kept that promise. In 1945, at the end of the war, General MacArthur took the Japanese surrender aboard the battleship USS Missouri and, having done so, became the temporary ‘ruler’ of Japan. Later, due to incompatible political views, MacArthur unfortunately had to be removed from office by another Freemason, President Harry S. Truman (see below). General MacArthur was a member of Manila Lodge No.1 in his beloved Philippines. Macquarie, Lauchlan (1762-1824) – The last autocratic governor of New South Wales (NSW), in the course of Major General Macquarie’s 12 years in office (1810-1821), he advanced NSW from a prison camp to a thriving colony. A History Channel programme has recently been made about him, so interesting was his life story. The inscription on his tomb in Scotland describes him as “The Father of Australia”. 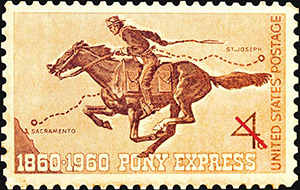 Alexander Majors was a U.S. businessman who, alongside William Russell and William Waddell, founded the Pony Express in Kansas City, Missouri. Macy, Rowland Hussey (1822-1877) – Rowland Macy was an American-born Quaker, who started a small dry goods store in Haverhill, Massachusetts. Under his guidance it grew into the famous Macy’s Department Stores of New York. 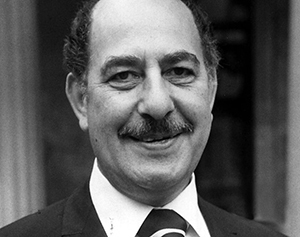 Born within a stone’s throw of the United Grand Lodge of England, Alfred Marks was a talented, well-loved British comedian and actor. Marks, Alfred (Real name: Ruchel Kutchinsky) (1921-1996) – Born close to the UGLE in Holborn, London, Alfred Marks was an actor and comedian who enjoyed a long career in the British and Australian entertainment industry. At one time he worked with Peter Sellers (see below) and Sir Harry Secombe CBE, yet somehow missed becoming a part of the crazy, and massively successful, British comedy series, ‘The Goon Show’. Marshall, George Catlett (1880-1959) – A soldier, diplomat and politician, George Marshall was the background overall ‘boss’ of the American forces in World War II; “the organizer of victory,” as Winston Churchill called him. 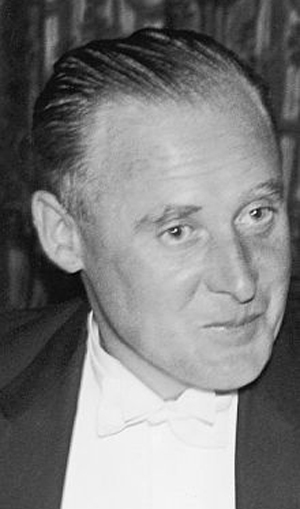 Post-war, Marshall served the U.S.A. as Secretary of State from 1947-1949, organizing the European Recovery Plan, most often referred to as “The Marshall Plan”, for which he received the Nobel Peace Prize in 1953. Marshall, James Wilson (1810-1885) – Jim Marshall discovered gold at Johan Sutter’s saw mill, in American River in California in 1848. He ultimately, but accidentally, sparked the California Gold Rush which, by 1849, had caused 300,000 persons to invade the area. It should be noted that neither Marshall nor Sutter finally profited from this seeming money-spinning discovery. Marshall, Thurgood (1908-1993) – In a time of racial intolerance, Marshall was the first African-American to be appointed to the Supreme Court of the United States by President Lyndon B. Johnson in 1967. Thurgood Marshall attended Coal Creek Lodge No.88 in Tulsa, Oklahoma. 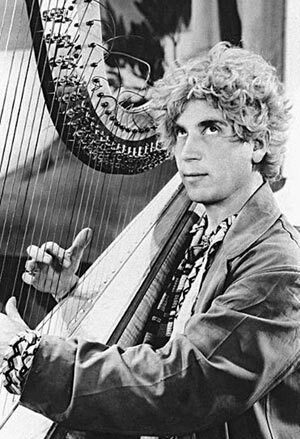 Gifted comedian Harpo Marx, entertained millions during the 30’s and 40’s as a part of the famous Marx Brothers. Marx, Arthur Adolph ‘Harpo’ (1888-1964) – The second of the gifted Marx Brothers, Harpo Marx was a phenomenal comedic talent for his time. An individual with a rare gift for mime, Harpo Marx never spoke in any of his film or TV performances, so that audiences actually thought him dumb: in reality he possessed a deep melodic voice. On 28 September 1936, Marx married Susan Fleming and they adopted four children. As a measure of the kindness of the man, Harpo Marx was once asked, during an interview with comedian George Burns, “How many more children are you going to adopt?” Harpo replied: “As many as I have windows. So, when I leave, I want a kid in each window waving ‘goodbye’”. Harpo Marx was a true Freemason. Massey, Hart Almerrin (1823-1896) – The ‘Massey’ in Massey-Ferguson farm equipment, Hart Massey was a businessman who became a philanthropist. His grandson was the famous method actor Raymond Massey. Mayer, Louis Burt (Real name: Lazar Meir) (1884-1957) – Born near Kiev in the Ukraine, Mayer is generally credited as the creator of the actors’ ‘star system’ and was also the ‘Mayer’ in Metro-Goldwyn-Mayer (MGM) in its golden years. Known as “L.B.”, he believed in wholesome entertainment and went to great lengths to ensure that MGM had on their books, “more stars than there are in the heavens”. Mayer was a member of Cecile Lodge No.568, New York. 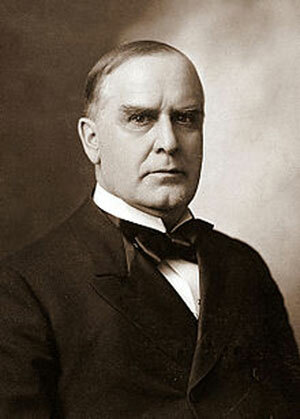 25th President, William McKinley, was assassinated by an anarchist in 1901. McKinley, William (1843-1901) – 25th President of the United States (1897-1901), McKinley’s presidency was marked by the Spanish-American War (1898), the annexation of Cuba and the Philippines, an open-door policy with China, and the passage of the Gold Standard Act in 1900. McKinley was of Scottish / Irish ancestry. He was initiated into Freemasonry in 1865 in Hiram Lodge No.21, Winchester, West Virginia, becoming a Knight Templar by 1884. He became a charter member of Eagle Lodge No.431, Ohio; later renamed ‘William McKinley Lodge’ in his memory. William McKinley was assassinated by an anarchist in Buffalo, New York in 1901, and the American nation mourned his loss. 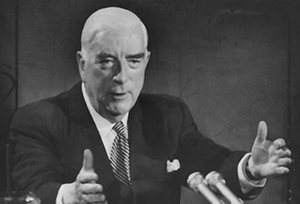 The longest-serving Prime Minister of Australia, Brother Sir Robert Menzies served more than 18 years in office. Menzies, Sir Robert Gordon (1894-1978) – The 12th (and longest serving) Prime Minister of Australia, Robert Menzies was a member of Austral Temple Lodge No. 110, Victoria. He was renowned as a brilliant speaker, both on the floor of Parliament and on the hustings; his speech, “The Forgotten People”, is an example of his oratorical skills. Throughout his life and career, Menzies held a strong belief in the Monarchy and in traditional ties with Britain. In 1963 he was invested as the first, and only, Australian Knight of the Order of the Thistle. Menzies is regarded highly in Prime Ministerial opinion polls and is equally highly regarded in Australian society for his tenure in the role. Mesmer, Franz Anton (1734-1815) – Anton Mesmer was a German physician with an interest in astronomy. He theorized that there was a natural energetic transference that occurred between all animated and inanimate objects that he called ‘magnétisme animal’ (animal magnetism) and other spiritual forces (often grouped together as mesmerism). The evolution of Mesmer’s ideas and practices led Scottish surgeon James Braid to develop hypnosis in 1842. Mesmer’s name is the root of the English verb “mesmerize”. 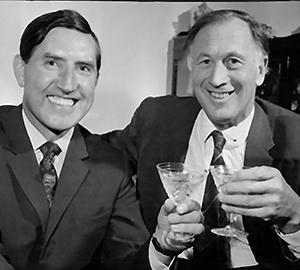 An English soccer legend, Joe Mercer (right) took the helm as manager of Aston Villa and Manchester City and, eventually, England. Brother Mercer is pictured with Irishman, Frank O’Farrell. Mercer, Joseph ‘Joe’ (1914-1990) – Joe Mercer was initiated in Rivacre Lodge, No. 5805, Ellesmere Port, Cheshire in 1941; this long-term Freemason and ex-Everton and Arsenal player also received five England ‘Caps’. Following a long managerial career in charge of First Division teams like Aston Villa (1958-1964) and Manchester City (1965-1971), he finally became the caretaker manager of England’s national football team in 1974. Michelson, Albert Abraham (1852-1931) – Born in Prussia, Albert Michelson moved with his parents to North America where he became a pioneering physicist and, in 1882, successfully measured the speed of light. For this, and other work in optical instrumentation, in 1907 he became the first American scientist to win a Nobel Prize. Michelson attended Washington Lodge No. 21 in New York City. Jackie Milburn was an English soccer phenomenon, principally associated with Newcastle United and England. He assisted Newcastle to three F.A. Cup Championships (1951/52/55). Milburn, John Edward Thompson ‘Jackie’ (1924-1988) – Jackie Milburn was a shy, quiet, modest man, well liked and respected by all who met him – he was also a phenomenal footballing talent. Born in Ashington, a coalmining town in the north east of England, Jackie was a fitter in the pits. During the Second World War, the occupation of coalminer was a reserved occupation, and this allowed Milburn to trial for and, in 1943, join Newcastle United. From 1947 he played in United’s number 9 shirt, helping the team to three F.A. Cup championships (1951/52/55). 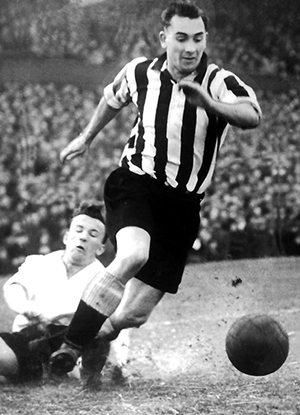 In 492 appearances, Jackie Milburn scored 238 goals for his club. 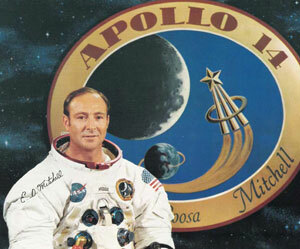 Astronaut Edgar Mitchell is a member of Artesta Lodge No. 28, New Mexico. Mitchell, Dr Edgar Dean (1930 – ) When the Apollo 13 moon mission to the Fra Mauro lunar region ended in near disaster in 1970, NASA’s response was to simply organise a replacement research operation to explore the Fra Mauro Highlands of the moon. It was thus that Edgar Mitchell found himself as Lunar Module pilot of the lunar lander “Antares” aboard Apollo 14. As a result, he became only the sixth person to walk on the moon, a role that should have fallen to fellow Freemason, Fred W. Haise (see A to L above). Born in Hereford, Texas, Edgar Mitchell graduated in aeronautics and later progressed to obtain a Doctor of Science in Aeronautics degree from M.I.T. From 1953 Mitchell first trained as a fighter pilot in the US Navy, serving aboard the aircraft carrier USS Ticonderoga, and then became a research pilot, before being seconded to NASA in 1966. Following his successful mission aboard Apollo 14, where he and Alan Shepard (commander) collected 42 kilograms of samples from the lunar surface, Mitchell did further work for NASA, before retiring. A close friend of Wyatt Earp and star of early Western movies, Tom Mix was responsible for getting John Wayne (see Wayne’s biography below) his first acting rôle. Active in the young people’s organisation, DeMolay International, Edgar Mitchell is a Mason in Artesta Lodge No. 28, Artesta, New Mexico. Certainly one of the men whose vision saved Britain during the Battle of Britain, ‘Spitfire’ designer, R. J. Mitchell. 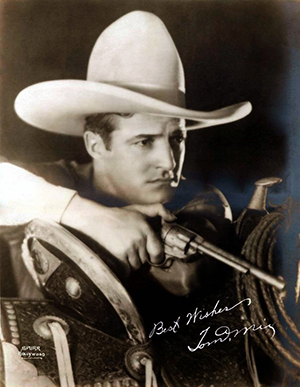 Mix, Thomas Hezikiel ‘Tom’ (1880-1940) – A soldier, cowboy and champion rodeo rider, Tom Mix stared in over 400 ‘Western’ films and he was instrumental in getting John Wayne (see below) his first job. Tom Mix was a friend and great admirer of the legendary lawman Wyatt Earp and in 1929 was a pall bearer at Earp’s funeral. Tom Mix belonged to Utopia Lodge No. 537 in Los Angeles, California. Molson, John (1763-1836) – John Molson was an English-born entrepreneur who, in Canada in 1787 started the Molson Brewing Company. It was an immediate success. John Molson was a member of St. Paul’s Lodge No. 374, UGLE, Montreal, and also a Past Provincial Grand Master. 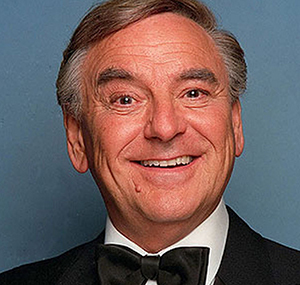 English entertainer Bob Monkhouse OBE gained household fame as a comedian, writer, presenter and game show host. Monkhouse, Robert Alan ‘Bob’ (1928-2003) –An English entertainer, comedy writer and actor, Bob Monkhouse was also well known on British television as a presenter and game show host. Most famous for his quick ad-lib and one-liner jokes, Monkhouse attended London’s Chelsea Lodge No.3098. Monroe, James (1758-1831) – 5th President of the United States (1817-1825), James Monroe’s administration was marked by the acquisition of Florida in 1819, and the profession of the ‘Monroe Doctrine’ (1823), which declared U.S. opposition to European interference in the Americas. James Monroe became an Entered Apprentice Freemason in Williamsburg Lodge No. 6, Williamsburg, Virginia on 9 November 1775. The world’s first balloon flight by a human was made by Étienne Montgolfier on 15 October 1783, albeit a tethered test flight. Montgolfier, Jacque-Étienne (1745-1799) – Jacque-Étienne along with his brother, Joseph-Michel, was co-inventor of the hot-air balloon which caused a sensation, bordering on a miraculous event, when it flew over Paris in 1783. 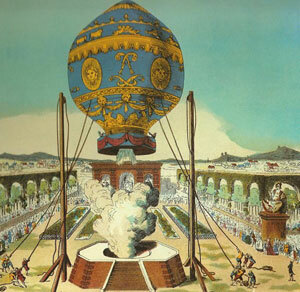 Montgolfier was initiated into Loge des Neuf Sœurs in Paris in 1784. Montgolfier, Joseph-Michel (1740-1810) – Co-inventor of the hot-air balloon, Joseph-Michel, like his brother, was initiated into the Parisian Loge des Neuf Sœurs (Trans: Lodge of the Nine Sisters) in 1806. Killed-in-action in a desperate withdrawal battle at Coruña in 1809, Scotsman Lieutenant-General Sir John Moore was honoured by his French opponent, Marshal Soult. 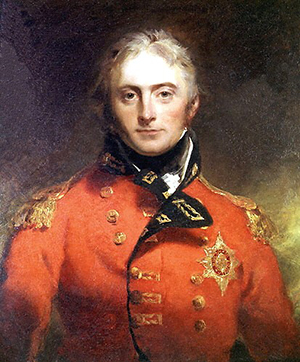 Moore, General Sir John (1761-1809) – Best known for his military training reforms that created Light Infantry units of a type still in existence today, John Moore fought with the British Army in theatres of operation from America to Egypt. During the Peninsular War, having first determined that his Spanish Allies were a beaten force, he guided the withdrawal of the British units in freezing weather conditions to the port of La Coruña in north-west Spain, luring Napoleon’s soldiers to the north as he did so. He organized his troops to hold off the French until all the British units were embarked on waiting ships and their sails set for England. In the thick of the action, on the 16th January 1809, Moore was hit by a cannon ball and mortally wounded. In respect for his clever and gallant enemy, the French commander at the Battle of Corunna, Marshal Soult, raised a memorial in General Moore’s honour. 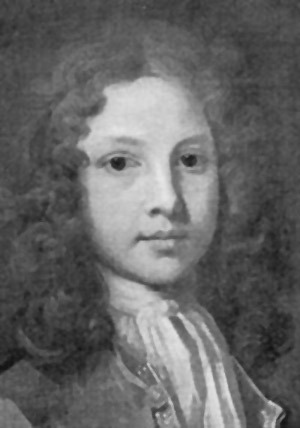 Moray, Sir Robert (1608-1673) – A linguist, soldier, diplomat, statesman and spy, Scotsman Robert Moray was initiated into the Lodge of Edinburgh on the 20 May 1641. (This is possibly the earliest written record of a Masonic initiation. See Elias Ashmoleabove.) He was knighted by King Charles I on the 10th January 1643 for diplomatic services, but also to give him higher status during his machinations with the French. Robert Moray was well known to Charles I, Charles II and the devious French cardinals Richelieu and Mazarin. During the reign of King Charles II (see above), Moray became a founder member of The Royal Society of London, begun on the 28 November 1660, with a nucleus of members of the “Invisible College”. So involved in the Society’s creation was Freemason Moray, that he was the man responsible for the Society obtaining its Royal Charter, and formulating its statues and regulations based on Masonic principles. Sir Robert Moray’s Masonic symbol was the 5-pointed star. Morris, Rob (1818-1888) – Wikipedia lists Rob Morris simply as ‘FREEMASON’: The late Brother Morris this would consider this soubriquet to be his finest accolade. A prominent American poet, Morris is regarded in the U.S.A. as the ‘Poet Laureate of Masonry’. He was a lawyer and educator, and founded The Order of the Eastern Star. 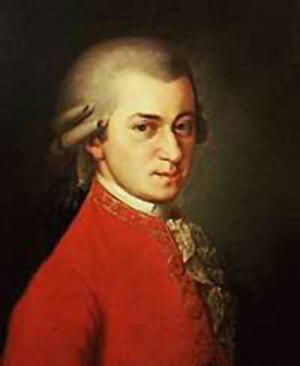 Mozart, Wolfgang Amadeus (1756-1791) – Although he passed to The Grand Lodge Above after only 35 years of life, Austrian composer Amadeus Mozart is considered among the greatest and most prolific composers in history. Of his more than 600 compositions, his finest works; including the opera ‘Don Giovanni’ (1787), his last three symphonies (1788) and the opera ‘The Magic Flute’ (1791), were written in the last five years of his short life. Mozart attended Lodge Zur Wohltatigkeit, Vienna. Actor Audie Leon Murphy was the most decorated American combat soldier of World War II, receiving every military award for valour available from the U.S. Army, as well as French and Belgian awards for heroism. 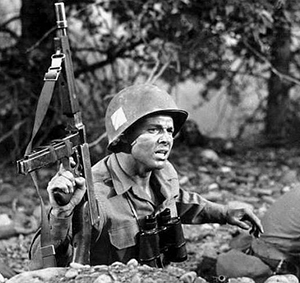 Murphy, Audie Leon (1924-1971) – Audie Murphy was the most decorated American soldier of World War II, although after the war he suffered from PTSD (post-traumatic stress disorder), a condition which he sought to bring to public notice to the benefit of other suffers. Murphy achieved his real fame as an actor, mainly in Westerns. A member of North Hollywood Lodge No.542, California, and a 33 degree holder, Murphy was always involved and active in Freemasonry. Naismith, James A. (1861-1939) – James Naismith was the Canadian-born sports educator who, while working in the U.S.A., invented the game of basketball. 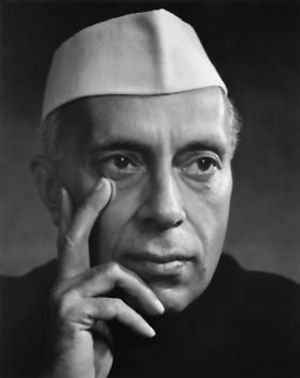 Jawaharlal ‘Pandit’ Nehru was the first Prime Minister of India and a central figure in Indian politics prior to and following Indian independence. 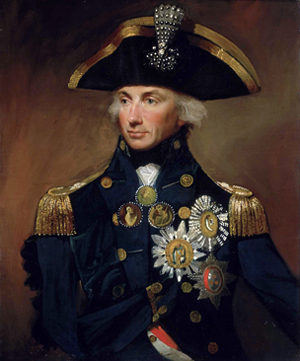 Lord Horatio Nelson – Recent research has discovered his Masonic membership. Nelson, Horatio – Admiral, 1st Viscount Nelson of the Nile (1758-1805) – Britain’s most famous naval officer, Nelson had already won his fame as a naval commander before his death at the Battle of Trafalgar (21st October 1805) made him one of Britain’s greatest national heroes. The battle finally dashed any hope that Napoleon entertained of invading Britain. Nelson’s title in full was Vice Admiral of the White, Horatio Nelson, 1st Viscount Nelson of the Nile, Baron Nelson of the Nile, K.B. In addition to these British titles, he was also Duke of Bronte in the nobility of the Kingdom of the Two Sicilies, Knight of the Grand Cross of the Order of St. Ferdinand and of Merit, and a Knight of the Ottoman Empire’s Order of the Crescent. Nelson Jr., Thomas (1738-1789) – The grandson of Yorktown pioneer ‘Scotch Tom’ Nelson, Thomas Nelson Junior was educated in England but, after he became Governor of Virginia, and as a member of Williamsburg Lodge No.6, Williamsburg, Virginia, he was yet another signatory on the United States’ Declaration of Independence, who was a Freemason. New, Harry Stewart (1858-1937) – As Postmaster-General of the United States, Harry New established ‘Airmail’. 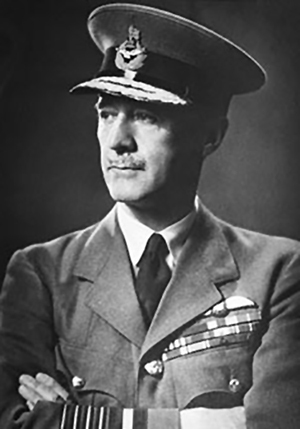 Marshal of the RAF Cyril Newall. 1st Baron Newall was a senior officer in the British army and later the head of the Royal Air Force. Newall, Cyril Louis Norton – Marshal of the RAF, 1st Baron Newall (1886-1963)– Newall was a British soldier and airman, who headed Britain’s Royal Air Force as the Chief of the Air Staff during the early part of World War II. It was Newall that nominated Sir Charles Portal as his successor before leaving to serve as the sixth Governor-General of New Zealand from 1941 to 1946. 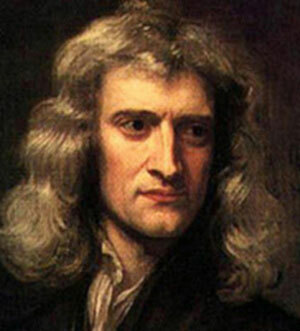 The most famous scientist in history, Sir Issac Newton, as head of The Royal Society, paved the way for those who followed. Nicholas, Samuel (1744-1790) – As the first officer of the U.S. Continental Marines, Samuel Nicholas is traditionally considered the first Commandant of the United States Marine Corps. He owned the ‘Tun Tavern’, a pub used as a recruiting office, which the Marine Corps considers their birthplace, and which was also the meeting place of the first Masonic lodge in Pennsylvania, officially known as St. John’s No.1 Lodge, Philadelphia. On the 10 November of each year, Nicholas’ grave in the Arch Street Friends’ Meeting House graveyard in Philadelphia is marked with a wreath at dawn by a group of United States marines. At the height of his career, show host David Nixon, was the best known magician in Great Britain. 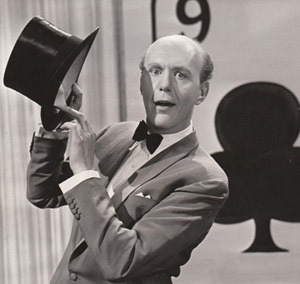 Nixon, David Porter (1919-1978) – An outstanding English magician and TV personality, at the height of his profession David Nixon was the most famous magician in the UK. In his early career he formed an unlikely, but highly successful, partnership with comedian Norman Wisdom. The actor Patrick Macnee (of ‘The Avengers’ TV series fame) was David Nixon’s cousin. Throughout his life, Irish-born Daniel O’Connell campaigned in the British Parliament for Catholic emancipation. O’Connell, Daniel (1775-1847) – A controversial Irish politician who vehemently campaigned for Catholics to be able to sit in the Westminster Parliament, Daniel O’Connell led a topsy-turvy political life. O’Connell was raised in Lodge No.189, Dublin in 1797. O’Higgins, Bernardo Riquelm (1778-1842) – An Irish father and a mother who was Basque provided the genetic building blocks for Bernardo O’Higgins fiery disposition. “The Liberator of Chile” as he was soon to become known, was educated in London were he met Francisco de Miranda, a Venezuelan idealist and Freemason, who ignited in O’Higgins thoughts of championing his country’s independence from Spain. He returned to Chile, eventually to lead the people in their fight. O’Higgins attended Lautaro Lodge, a Lodge of Spanish origin (Cadiz, 1797), that met in London. José de San Martin (see below) was a fellow member. Olds, Ransom Eli (1864-1950) – Ransom Olds was the American automobile inventor and manufacturer who, in 1899, founded the Olds Motor Vehicle Company that went on to produce the Oldsmobile and, later, he founded the REO brand. Olds claimed to have built a steam car as early as 1894, and his first petrol powered automobile in 1896. He also introduced the ‘assembly line’ for car manufacture (ca.1901-1902), thus pre-dating that of Henry Ford (see above). Olds attended Capitol Lodge No. 66, Lansing, Michigan. Otis, James (1725-1783) – James Otis, like Paul Revere (see below), was a member of Lodge St. Andrew. He was a lawyer and, he said, “a British patriot”, but he spoke against the British government’s taxation of the American colonies. The phrase “Taxation without Representation is tyranny” is attributed to him, and eventually led to the American Revolution. He died in bizarre circumstances – struck by lightning! Trailblazer Arnold Palmer was the first “superstar” of golf as the sport emerged into the television age. Palmer, Arnold Daniel (1929- ) – Simply an outstanding professional golfer, Arnold Palmer was born in Pennsylvania and for years set the example to make golf a ‘gentleman’s’ sport. He was the first golf star to appear during the television-age and, as such, became the sport’s earliest trailblazer, followed by Gary Player (S.A.) and Jack Nicklaus (U.S.A.). 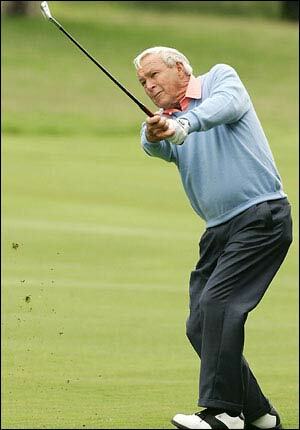 Palmer won the PGA Tour Lifetime Achievement Award in 1998. Palmer’s lodge is Loyalhanna Lodge No.275 in Latrobe, Pennsylvania. Parker, Fess Elisha (1924-2010) – An American actor of long standing, Fess Parker was best known for his characterisation of Davy Crockett and Daniel Boone. His film credits include ‘Springfield Rifle’ (1952); ‘Them!’ (1954) & ‘Hell is for Heroes’ (1962). In later life Fess Parker became a resort owner / operator and wine maker and attended in the Masonic ceremonies at Mount Olive Lodge No.506, California. Described as a man of “humour and frolic”, Richard Parsons, 1st Earl of Rosse, was the first Grand Master of Irish Freemasonry. Parsons, Richard – 1st Earl of Rosse (1702-1741) – In 1725, Richard Parsons became the first recorded Grand Master of the Grand Lodge of Ireland, a post he held for the next six years. All official records of the Grand Lodge of Ireland prior to 1760, and all minute books prior to 1780, have been lost. By all accounts Parsons was a quite a wild individual and libertine, not ‘normal’ Masonic material. He even founded Dublin’s ‘Hellfire Club’ – which certainly assisted his early demise! Peary, Rear Admiral Robert Edwin (1856-1920) – In 1909, Robert Peary claimed to be the first man to have reached the geographic North Pole, although Peary’s navigation is questionable and this feat may well anyway have been achieved a year earlier by Frederick Cook. Peary was accompanied on his expedition by another Freemason, Matthew Henson (see above). Kane Lodge No. 454 in New York City, was Rear Admiral Peary’s lodge. Penn, John (1741-1788) – A lawyer and the first Governor of Pennsylvania, John Penn was another Freemason whose signature appears on the United States Declaration of Independence, and also on the Articles of Confederation as a representative of North Carolina. Penn was distantly related to William Penn from whom Pennsylvania gets its name. 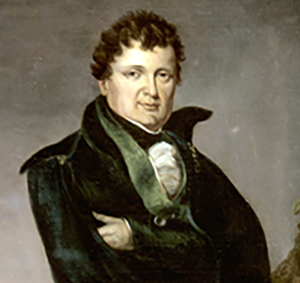 John Penn allegedly founded the first Masonic lodge in Pennsylvania. Penney, James Cash (1875-1971) – The founder of the famous American ‘J.C. Penney’ stores, James Penney was a businessman and entrepreneur, and extremely caring, he frequently donated large amounts of money to worthy charities. Penney was a dedicated life-long Freemason, being initiated into Wasatch Lodge No.1, Free and Accepted Masons of Utah, on April 18, 1911. A member of both the Scottish Rite and York Rite, Penney was coroneted a 33rd Degree on October 16, 1945. He also received the Gold Distinguished Service Award by the General Grand Chapter, Royal Arch Masons, in Kansas City, Missouri in 1958. Perkins, Jacob (1766-1841) – An Anglo-American engraver, inventor, engineer and physicist, Perkins emigrated from America to England in 1819 and established the bank note printers of Perkins, Fairman & Heath. This company produced the first British postage stamps, including the famous ‘Penny Black’ 1d stamp featuring the head of Queen Victoria. He also experimented with the development of a high pressure steam engine that was more than 70 years ahead of its time. Perry, Matthew Calbraith (1794-1858) – As a Commodore in the U.S. Navy, Matthew Perry commanded one of the first steam frigates, USS Fulton, which was armed with the new, and for its time, highly destructive, Paixhans shell gun. In a similarly armed vessel, Perry made a famous expedition to Japan, compelling the country to open for trade with the U.S.A. Perry was initiated into the Holland Lodge No.8, New York, New York in 1819. Pershing, John Joseph (1860-1948) – “Black Jack” Pershing led the American Expeditionary Forces in Europe during World War One. So successful was he that, in 1921, he was given the rank of General of the Armies of the United States, a rank only conferred once. The M-26 Pershing heavy-tank of WWII was named in his honour. This tough soldier was a Freemason in Lincoln Lodge No. 19, Lincoln, Nebraska. Peters, James Henry ‘Jim’ (1918-1999) – London-born Jim Peters was a long distance runner who broke the world record for the men’s marathon four times in the 1950’s. He was the first runner to complete a marathon less than 2 hours 20 minutes – an achievement which was equated to the breaking of the four minute mile. He achieved this at the Polytechnic Marathon of 1953, a point-to-point race from Windsor to Chiswick, West-London. Later that same year Peters set the first sub-2 hour 20 minute clocking on an out-and-back course, at the Enschede Marathon, Holland. After retiring from competitive athletics, Peters worked as an optician in Chadwell Heath, Essex, England. 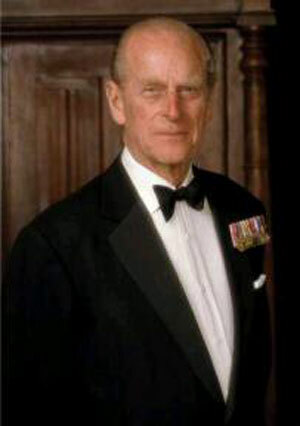 Prince Philip, Duke of Edinburgh was a Freemason in Navy Lodge No. 2612, London. Prince Philip, Duke of Edinburgh (Born: Prince Philip of Greece & Denmark) (1921-) – Born on the island of Corfu, Philip is the husband of Queen Elizabeth II, his son, Charles, Prince of Wales is first in line to the English throne. Prince Philip is a member of the Navy Lodge No.2612, London. Phillips, John Henry Lawrence (1910-1985) – John Phillips was the Anglican Bishop of Portsmouth from 1960 to 1975, joining the House of Lords in 1967. During World War II he was a Chaplin in the Royal Navy Volunteer Reserve. A Freemason for many years, Phillips served as the Provincial Grand Master for Hampshire and the Isle of Wight from 1975 until 1979. Pickett, General George Edward (1825-1875) – Picket was one of the three Confederate generals who attacked the Union lines during the Battle of Gettysburg. The famous ‘Pickett’s Charge’ is named after him. Advancing over one-mile of open ground into the teeth of shot and shell, Pickett’s division was virtually annihilated and he never fully recovered from the horror he’d seen and experienced. It was his wife, LeSalle Corbet, who glamorized his wartime career. Dove Lodge No. 51 in Virginia was Pickett’s lodge. Albert Pike, attorney, soldier, writer and Freemason, is the only Confederate military officer with an outdoor statue in Washington, D.C.
Pike, Albert (1809-1891) – A solicitor, soldier, writer and poet, Albert Pike was also a Confederate General, indeed he was the only Confederate military officer or figure to be honoured with an outdoor statue in Washington, D.C. 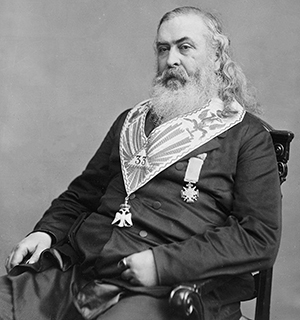 In about 1840 Albert Pike joined a Masonic Lodge (probably Western Star Lodge No.2, Little Rock, Arkansas), and later wrote extensively on Masonic subjects. He re-wrote the rituals of the U.S. Southern Jurisdiction of the Scottish Rite Bodies. In America Albert Pike is still regarded as an eminent and influential Freemason. 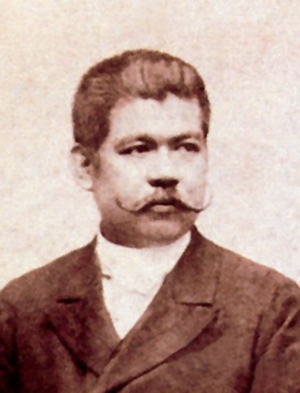 del Pilar y Gatmaitan, Marcelo Hilario (1850-1896) – Initiated in Spain in 1889, de Pilar is considered to be “The Father of Philippino Masonry”. He was a lawyer who founded the first daily newspaper published in the native Tagalog language. Poinsett, Joel Roberts (1779-1851) – A physician, botanist, traveller and the first U.S. Minister to Mexico, Joel Poinsett introduced the Mexican shrub euphorbia pulcherrima to America where it became known as the ‘Poinsettia’. He travelled through Russia and Persia where, at Baku in 1806, having being shown petroleum oil flowing freely out of the ground, mused that one day it would make a useful fuel! A dedicated Freemason, Poinsett was a Past Master of Recovery Lodge No.31, Grenville and also Solomon’s Lodge No.1, Charleston. Polk, James Knox (1795-1849) – 11th President of the United States and one of its finest, James Polk oversaw the opening of the U.S. Naval Academy, the Smithsonian Institution and the issuance of the first postage stamps in America. 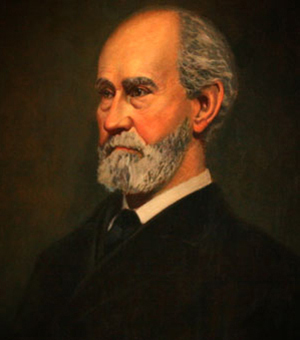 In his mid-twenties, on the 5th June 1820, Polk was initiated into Columbia Lodge No. 31, Tennessee and exalted a Royal Arch Mason in La Fayette Chapter No.4 at Columbia in 1825. 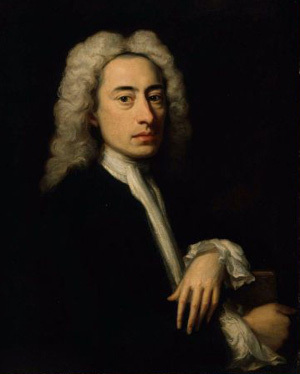 Most recently made more famous as a lead in The Da Vinci Code, Alexander Pope is the third-most quoted writer in The Oxford Dictionary of Quotations, after Shakespeare and Tennyson. Pope, Alexander (1688-1744) – Born a Catholic, Alexander Pope was an 18th Century poet and writer of satirical verse. He is famous for his epic translation of Homer’s ‘Iliad’ (which took him 5 years) and works such as ‘Essays on Criticism’ (1711) and ‘The Dunciad’ written in 1728 – although the content of the latter offended many of his contemporaries and brought him much unwelcome trouble. Purdy, George I. (1907-2000) – Affectionately known as “Mister Navy”, George Purdy was an influential force in the Yokosuka community in Japan. Purdy was commander of an LST-542-Class tank landing ship, LST-973, in World War II and served under General Douglas MacArthur (see above) in Tokyo. In 1972, he founded the Commodore Perry Council of Tokyo, Navy League of the United States. In 1985, the Emperor of Japan awarded him the Third Class Order of the Sacred Treasure in recog- nition of his post-war era contributions to relations between Japan and America. Purdy’s autobiography, ‘A Summer for a Lifetime’, is a memoir which should be read by Freemasons and non-Masons alike and talks at length about the importance of Freemasonry in his life: a life of honesty, humanity and hard work. Pushkin, Aleksandr Sergeyvich (1799-1837) – Aleksandr Pushkin was a Russian author of the Romantic era and is considered by many to be the greatest Russian. Among many other works, he wrote ‘Boris Godunov’. Aged only 38, Pushkin was shot and mortally wounded following a dual over the romantic intensions of his brother-in- law. Pushkin joined Lodge Ovid, Kischinev in 1821. Putnam, Israel (1718-1790) – One of four Major-Generals at the start of the American Revolutionary War, Freemason Israel Putnam was the only one to serve throughout. He is remembered for his famous shout to his soldiers at the Battle of Bunker Hill in 1775, “Don’t fire until you see the whites of their eyes!” Although Putnam never quite attained the national renown of more celebrated heroes such as Davy Crockett or Daniel Boone(see above), in his own time his reckless courage and fighting spirit were known far beyond Connecticut’s borders, through the circulation of folk legends celebrating his exploits. Putnam’s son also entered Freemasonry. Famous Freemasons A – Z. You really know all of them? DETROIT MASONIC TEMPLE – The world’s largest Masonic temple was saved by the White Stripes. The decline of men, and what Freemasons need to do about it? very good adsense alternative for sites like yours.